I am probably the most unprepared parent when it comes to bringing a new baby home. We didn’t even have a name for him yet days after he was born wtf. But before the big delivery day there were a few things i actually did. 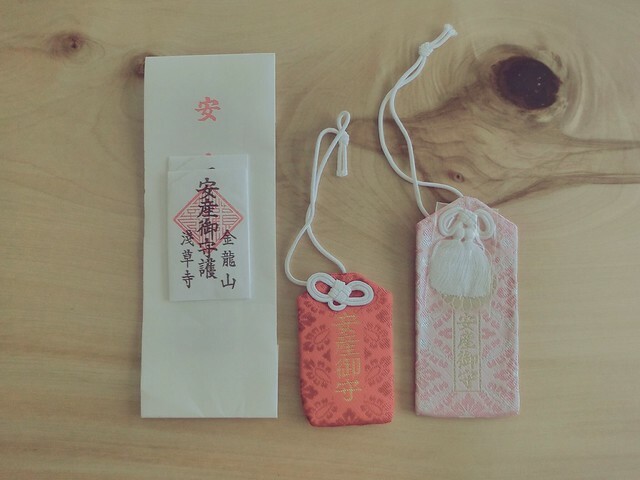 If i have one superstition when it comes to pregnancy (though i broke every other one), it is to religiously carry the omamori (safe delivery charm) with me ALL THE TIME. 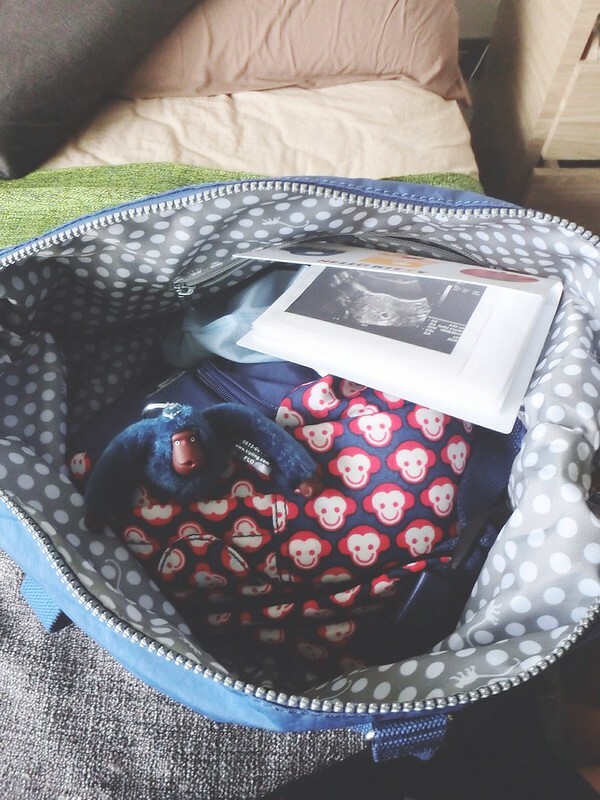 Especially the last few weeks when i could go into labor any time, i made sure i won’t leave home without them. The red one is from Hakone shrine, the pink one from Meiji Shrine and the white one is a gift from Amy where she bought in Asakusa Shrine. 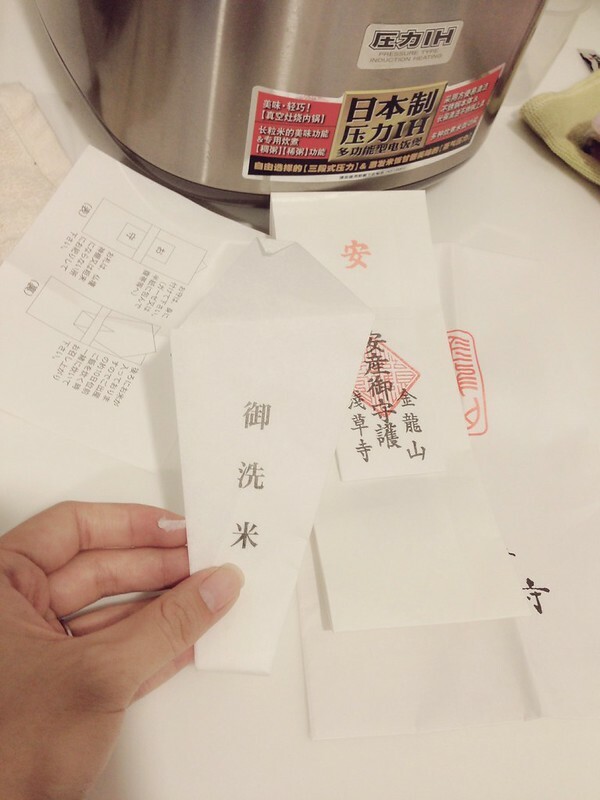 Anyway this omamori also comes with a small pack of rice, where you are supposed to eat it around 10 days before your due date. Of course i had to follow 😛 Cooked it with my usual rice, ate it and felt very powerful and confident after lolol. Making sure i pack them in the hospital bag (and checked many many times lol). Bags from Kipling! One for the new mommy and one for the new baby. Another thing we realized last minute was that we didn’t have a water filter at home!! We just moved in a month ago and had been buying mineral water bottles until my mom nagged me to get a proper water filter (apparently the water in our apartment is so dirty my neighbour’s whole family had diarrhea wtf). It’s only sane if we have clean water at home before a new fragile life comes into our home. 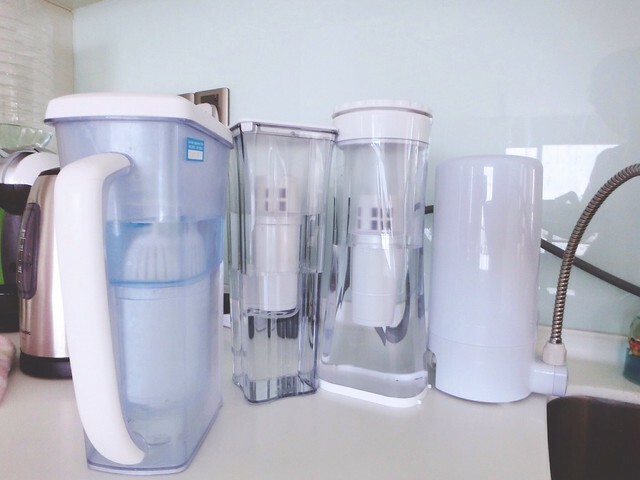 We had been searching all around for a good water filter but really really hard time deciding on one (we don’t trust whatever diamond water or RO water or whatever some MLM people sell you at a high margin so they can buy Mercedes). 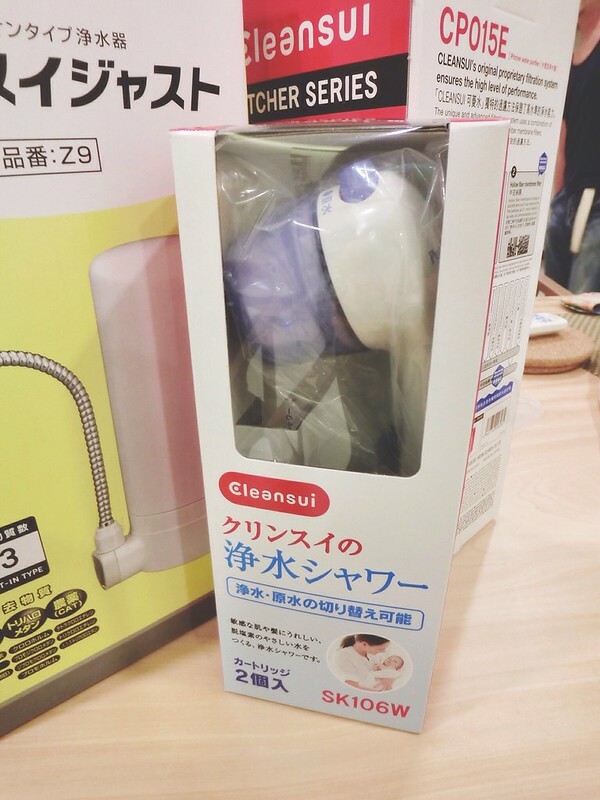 Until the danna did some research and found this filter system called Cleansui from Mitsubishi Rayon online. 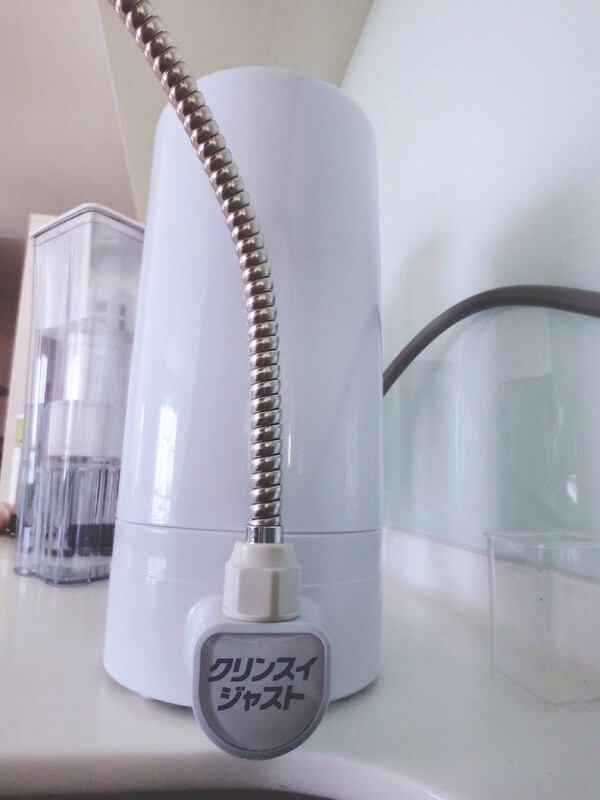 It’s one of the best-selling and high-rated water filter in Japan. So we called and ordered one unit. By the way this is not an ad in case you are wondering! What happened was, so the Cleansui sales person Shirley (a very very friendly girl) came all the way to my house just days before my delivery to look at the piping (before i even purchased anything), explained to me in great length, and then she saw Champon and froze. And then she went OMGOMG i read your blog and so on. Haih. Apparently she couldn’t recognize me since i dressed like a construction worker at home with no make up carrying a massive belly walking like a zombie. She realized when she saw a familiar Champon lolol. Anyway, so that’s that. 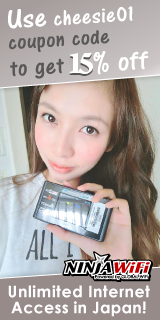 I ordered a filter, and then few days later she delivered personally to my house, the filter and some extra items, saying she had an order from Cleansui Japan to give me a present for my new home and the new baby. I feel very touched la! Why these people so nice!!!! Give me discount i very happy already lolol. The Z9 filter i ordered, a portable pitcher, they also gave me a shower head filter so that i can bathe my baby with clean water. If he accidentally swallows the bath water it is ok too haha it just means that i’m a very lousy mother wtf. 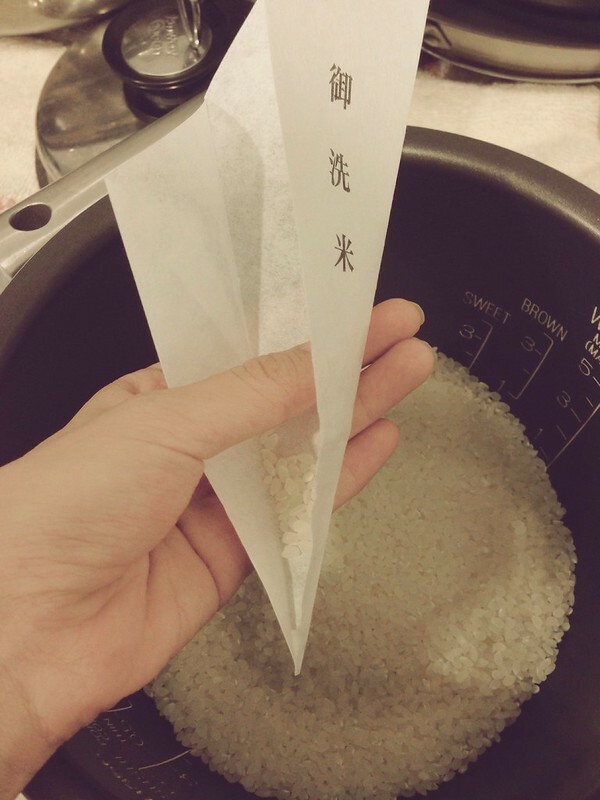 Filter is very compact and clean looking, just nice for my kitchen sink! Anyway i won’t elaborate on the technology in case it gets boring (you all can read it up yourselves), but the fact that it is top-rated in Japan alone made me have no second doubt about it, plus the danna also did a lot of reading up. Anyway i dunno if it is 心理作用 or what but i really really LOVE the filtered water!!! It’s one of the best tasting filtered water i have in Malaysia, i dunno how to describe it, it is just very 顺口 and now i get super crazy thirsty due to breastfeeding i am drinking gallons everyday lol. Then we ordered two extra pitchers because the supply not fast enough lolol. The danna being very particular he had to use the filtered water and filter it again with the pitcher then drink. 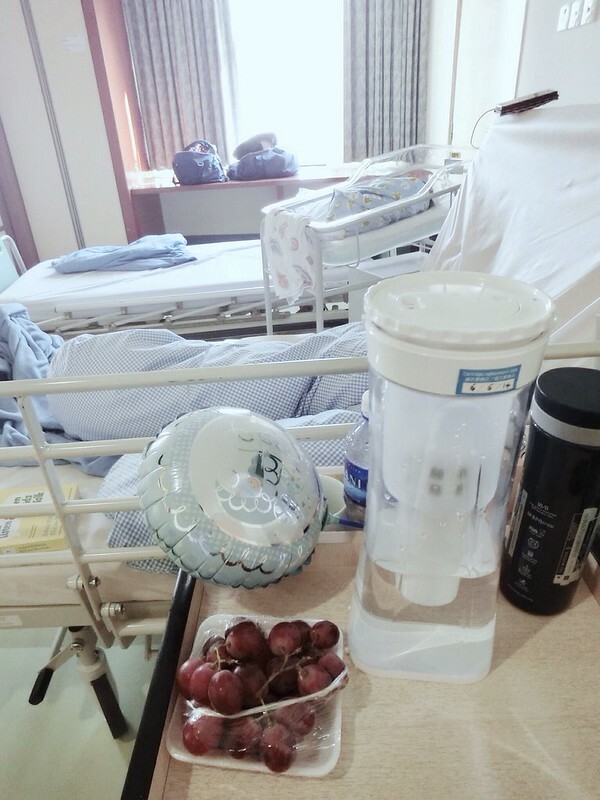 It’s delicious ok.
Also i demanded the danna to purposely go back and get Cleansui pitcher for me from the haos to the hospital because the water in hospital tasted funny wtf. Also i want to produce quality awesome breastmilk for my newborn lolol. Before this we talked to a few other companies and their water filter systems are like thousands of ringgit. (One of them is RM12,000 WTF no diamonds inside also). So so so affordable!! And of course, all made in Japan! Anyway, there’s actually a cafe by Cleansui called Mizu Cafe in Tokyo, i’m sure i’ve passed by it, it’s right at Harajuku. So if you ever go to Tokyo you can go check it out. I think the concept is so so cool, it focuses on the whole “water theme”, and best for kiasu Malaysians, you can actually bring free Cleansui water home from the cafe, since bottled drinks are so expensive in Japan lolol. 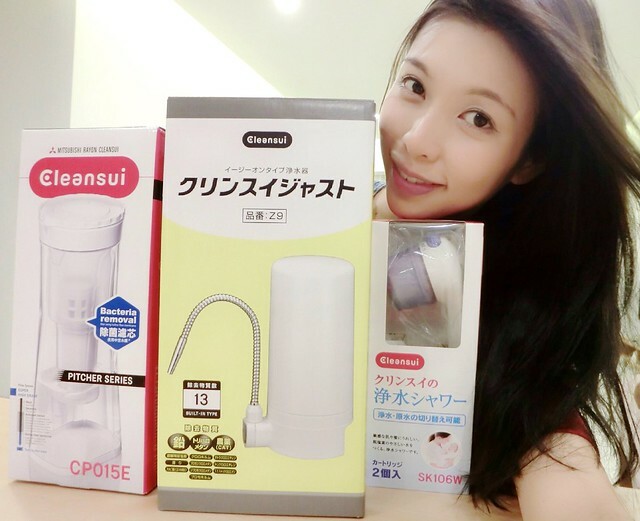 So lastly, if you are interested, you can buy Cleansui products online from: Cleansui Malaysia. I changed my tap so that i can install a cleansui filter. I don’t trust the other filters too. Cleansui water tastes clean, the rest tastes like they add more things into the water for an artificial mineral water taste. Yucky yuck! Wow really? How did you find out about this? I wouldn’t know of it if the danna didn’t do his research. 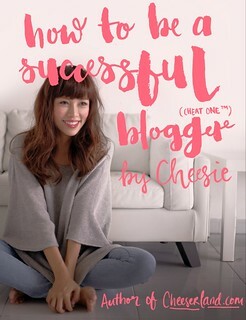 Apparently just launched in Malaysia! Wa wa wa!!! Your dad seems to care about water a lot LOLOL. Get it get it! Thanks for sharing it ! 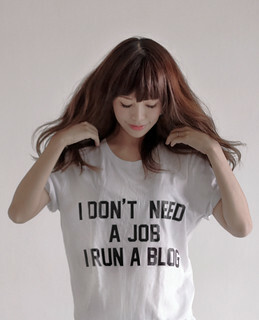 Hope they have sales person in Sabah. Oh no no it is not their reliability I doubt, I just feel that the margin they mark up has to be so high it could benefit its member ( and member’s upline and upline’s upline etc etc infinity). That just put me off. 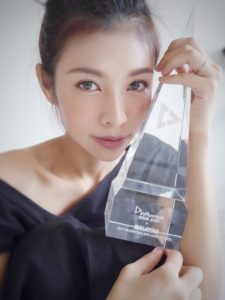 As an end user I will never buy MLM stuff. But yea if it works for you then it is best! Good luck! :)) glad it’s useful for you!! Not paid for advertisement but still got discount right..? Cheesie,nWhat do you think of Torayvino water filter from Japan? to me water filter is all about the performance and list of filtration. I bought Cleansui Z9 filter recently… performance is totally satisfying same goes to the price, only RM989… free a pitcher summore!! !